It's a small world (Short video) - Learning English is AS EASY AS PIE with Phrases, Idioms, Expressions. 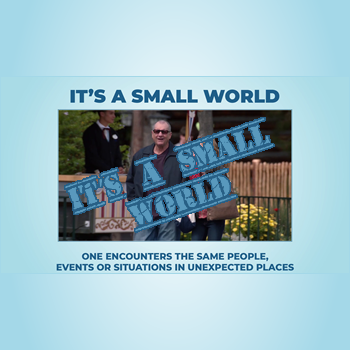 The phrase of the day is: "It's a small world"
Someone knows a person you know. Used to express surprise that events or people at different places are somehow connected.